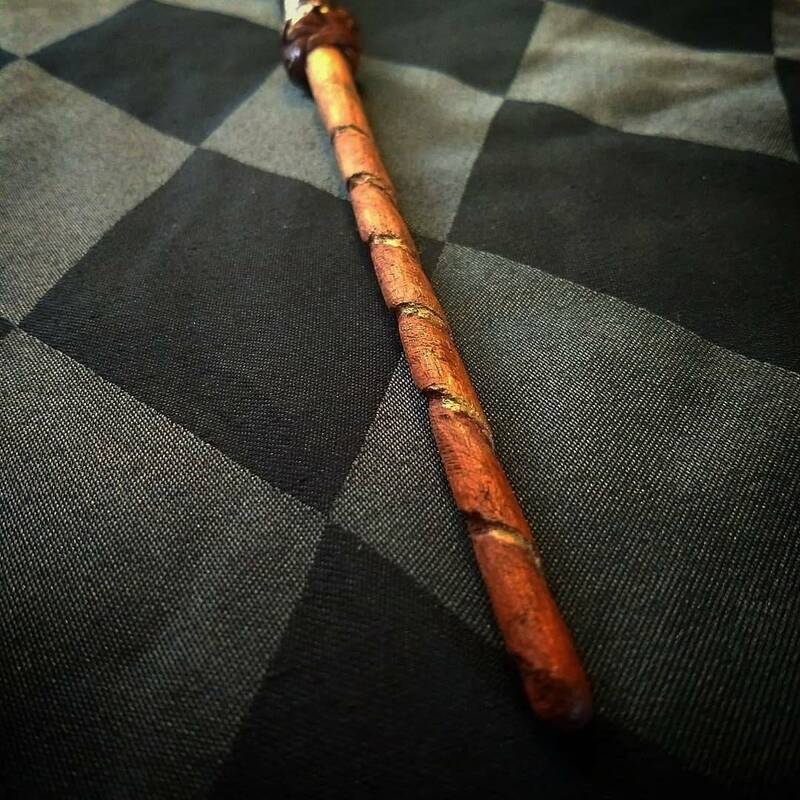 Custom magic wand with woven leather handle. Hand carved cherry wood with hand painted bronze accents. 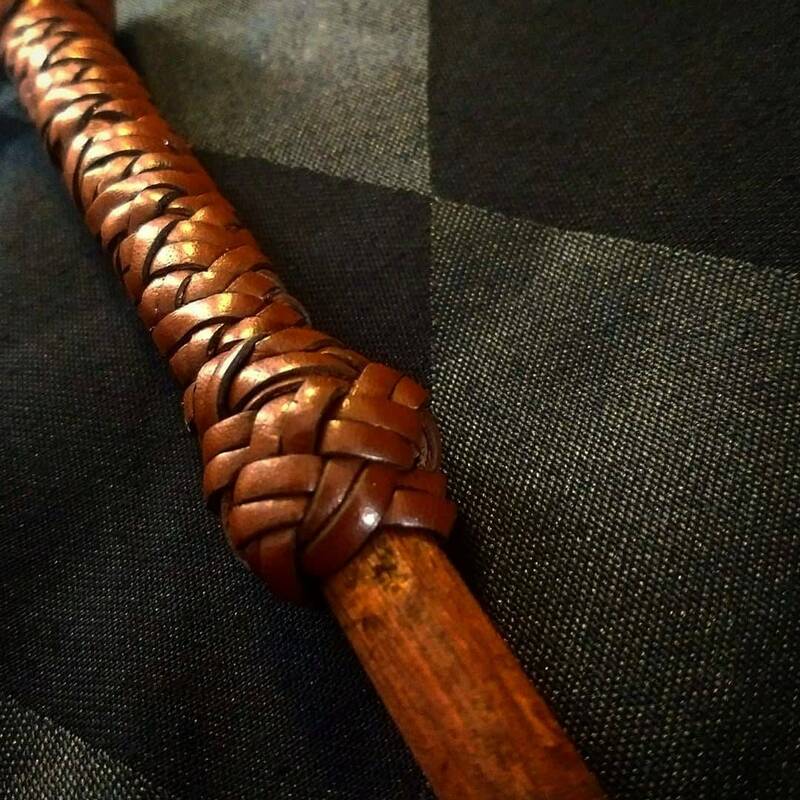 Hand woven calf skin leather handle. Measures 12.25 inches (30.75 cm) long, 1 inch (2.55 cm) diameter pommel, 5/8 inch (1.6 cm) diameter grip, tapers to 1/4 inch (.6 cm) diameter at tip. 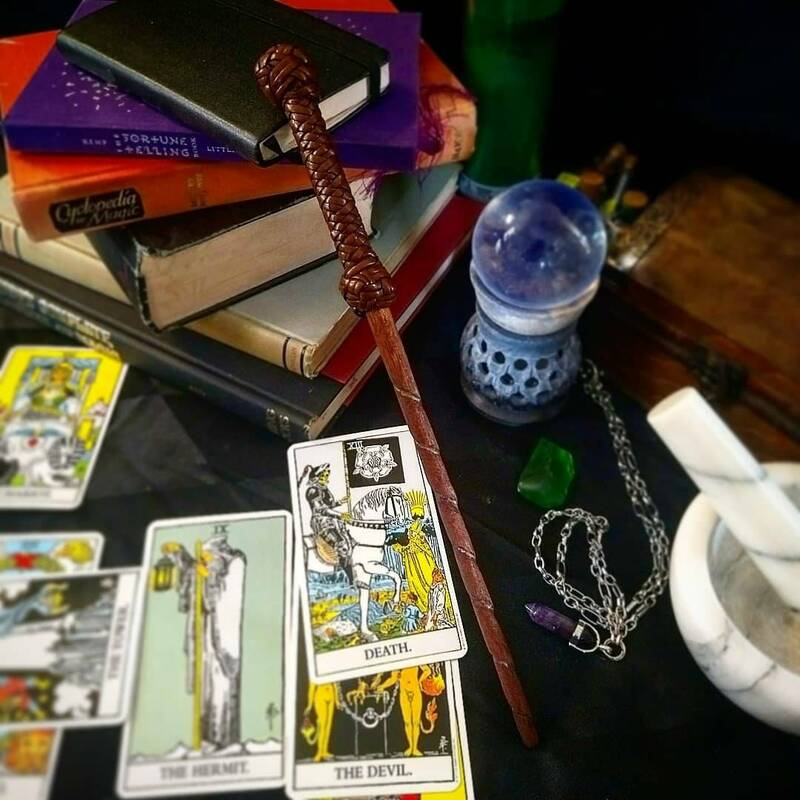 Each wand is hand crafted, so no two wands will be identical. 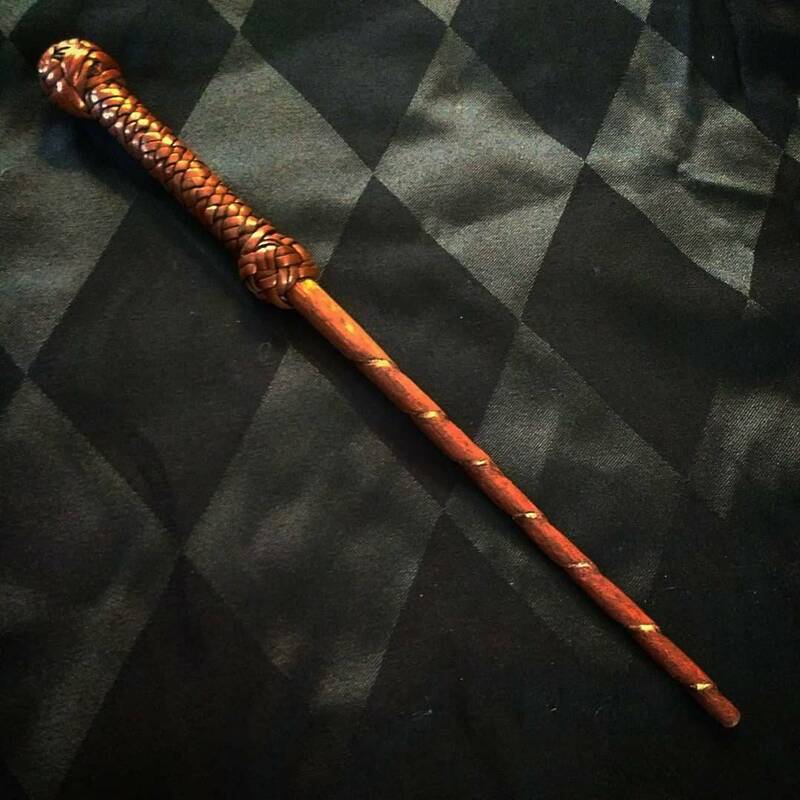 Perfect accessory for magic, costumes, cosplay, and Harry Potter fans! 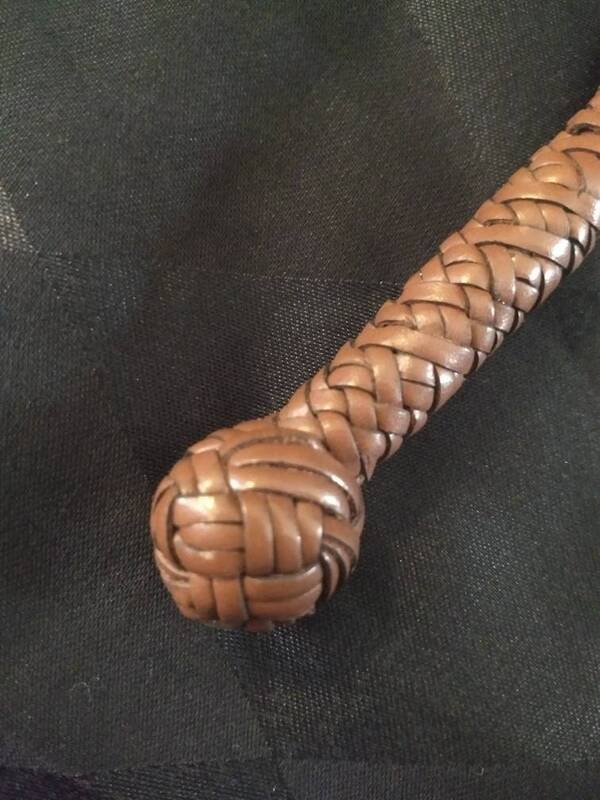 We do not claim that this has any real magic powers, but who knows, give it a try!